Julia and Andy got married in a perfect Summer day in North Vancouver. The sky was so clear that everyone lost their breathes when they saw Mount Baker showing off at the ceremony spot. As soon as we met this amazing couple, we knew we would be a great fit for their wedding, they are gorgeous and great people that makes you feel very honoured to be chosen to work along them, specially i such an incredible moment of their lives. After cocktail, the guests had outdoors dinner in the most beautiful long table at the balcony, then danced to Side One musics at the dance floor. 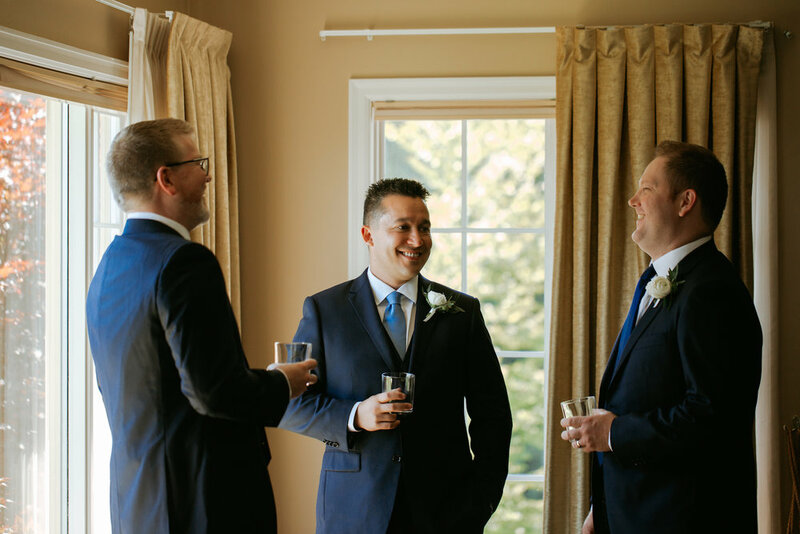 Marcelo and I shot at their venue before at the Capilano Golf Club so we were very comfortable shooting there again. Besides that, J+A hired a great team that is always lovely to work with Filosophi Events, Side One Band, Denise Elliott Make Up and Hair, and flowers by Our Little Flower Company. Some words from the couple to us: “You are two of the sweetest people we have ever met and it was an absolute pleasure having you with us throughout our special day.” Julia & Andy Wong.